Ten unique vintage styled, hero themed graphic backgrounds. 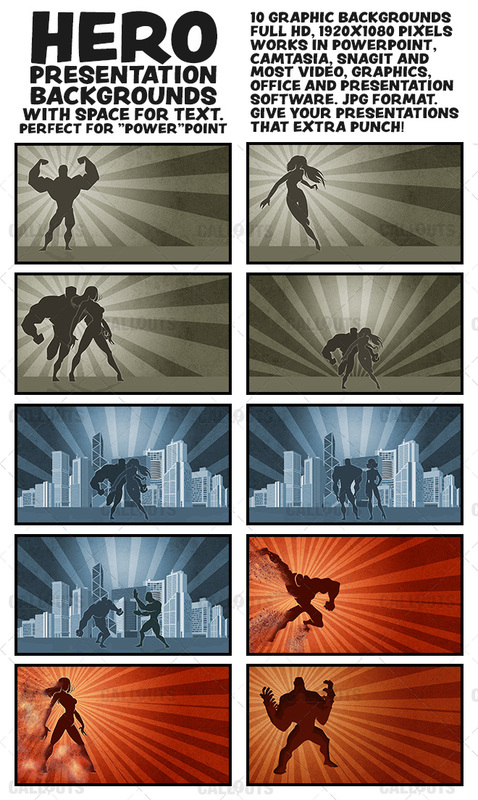 Give your presentations some superhero punch! Delivered in Full HD 1920×1080 pixels, three color styles. 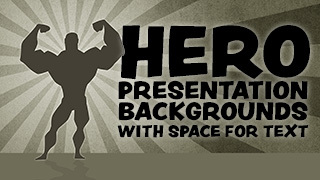 These presentation backdrops work great as presentation backgrounds in (stills) in your video editing software or Powerpoint. Or add text and use them in your social media.